The Poolky, also known as a Silkypoo, is a small crossbreed between a Poodle and a Silky Terrier. These pups are generally healthy throughout their puppy phases, but they are genetically predisposed to health issues between middle and old age, somewhere between 6 to 8 years old. Health problems don’t always plague a Poolky, but most developed health conditions are managed through consistent treatments, vet recommendations, and surgical procedures (sometimes). This condition is caused when fluid and gas become lodged in the stomach, causing the belly to twist. It is the second leading killer of all dogs, so it’s crucial that you get your pup to a vet as soon as you notice symptoms. Signs of bloat include a distended belly, lethargy, vomiting, severe weight loss, lack of appetite, constant whimpers, and weakness. Surgery is required to reverse bloat. Think of this condition like Type 2 Diabetes for dogs. Caused by a high level of glucose in both the bloodstream and urine, the symptoms include excess thirst, frequent urination, an increase in appetite, severe weight fluctuations in either direction, and hair loss. Change of diet and insulin injections are required to manage this condition. Other health conditions that a Poolky may inherit include cataracts, hip dysplasia, skin allergies, patellar luxation, Cushing’s disease, hypothyroidism, and tracheal collapse. The average lifespan of a Poolky is lengthy, between 12 to 15 years. Keep in mind – all dogs, regardless of breed and age, are prone to parvo, heartworms, heart disease, and certain forms of cancer. To avoid these, and many other health issues, take your pup to the vet regularly for routine check-ups. Adorable and compact, the Poolky is a lovable, cuddly pup who would be an excellent family dog and snuggly companion. She is an intelligent sweetheart, always eager to please her owners. She is wary of strangers for the first few minutes of meeting them. But, if she feels unthreatened, she will happily cuddle and snag attention from new people. These pups are very energetic, bouncy, and rambunctious. She loves running and playing several times a day, so multiple walks would be ideal. Or, if you have a fenced-in backyard, simply let her out to run and romp through the grass. She does well with children and other small dogs, but she may act afraid of larger dogs, especially if they bark at her. The Poolky is most energetic in the mornings and afternoons if you sleep at night. However, her energy levels will sync up with your awake and sleep times. A Poolky would make a terrific watchdog because she barks whenever she hears things at night-time. This could be both a blessing and a curse, as she keeps barking until you tell her to stop – usually. These pups would do well living in an apartment, as long as you train them to keep their barking to a minimum, especially during the evening hours. These dogs can get quite noisy, which may upset your neighbors. Training would be a good idea for your Poolky from a young age. She has a stubborn streak, due to her Silky Terrier genetics, but she is also eager to please, loyal, and curious. She will listen to what you have to say, then comply with your commands once she grasps your meaning. This might take a few repeats, but she will eventually get the hang of acting out your commands. The whole process should be easier than training most crossbreed pups. It just takes praise, encouragement, and a reward system. Some dog owners are apt to yell at or strike their dogs if their pups don’t grasp obedience on the first try. Never, ever hit or be harsh toward your Poolky, or any dog for that matter. This negative behavior usually results in shy, sensitive, and destructive reactions. If you adopt a Poolky with a rough background, take into consideration that it is more difficult to retrain an older pup. Remain consistent, firm, gentle, and kind. 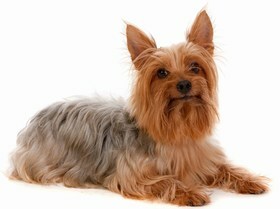 Silky Terriers are known for their silky, long locks whereas Poodles are notable for having a curly, soft, close-cropped coat. 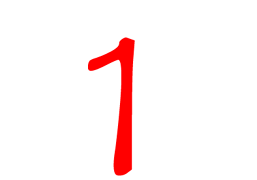 Your Poolky will have a combination of these two coats, but she may lean more in one direction than the other. 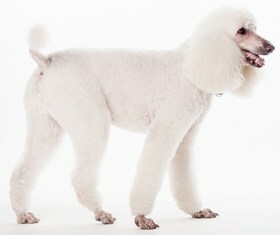 If she has a Poodle’s coat type, brush her 4-5 times a week and bathe her once a month. 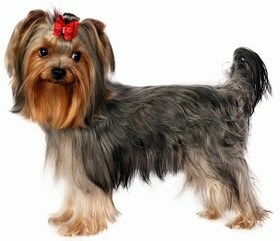 If she has a Silky Terrier’s coat type, brush her daily to get rid of excess hair. 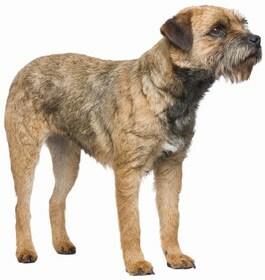 You should also trim your pup’s hair whenever it reaches troublesome lengths. Or, take her to a professional groomer for a full-day spa treatment that includes a bath, brush, hair trim, nail trim, ear cleaning, and teeth brushing. Feed your Poolky two meals a day – breakfast and dinner – to keep her satisfied throughout the day. For each meal, give her 1 cup of dry, high-quality kibble, loaded with protein, healthy carbs, and wholesome fiber. Her diet should be rich in whole grains, vegetables, and lean meats, so opt for a dog food that lists these three ingredients at the top of their recipe list. Avoid fillers, by-products, and chemicals, as these elements are notoriously harmful to a dog’s health. Before you invest in a Poolky, make sure you prepare for the long-term costs. Factor in toys, nutritious dog food, micro-shipping, a collar, leash, regular flea treatments, possible medical emergencies, deworming treatments, spaying or neutering, and routine vet visits. Check your local animal shelter for a Poolky first. These pups would be happy to have a second chance at their forever home. Adoption fees range from $200 to $300, depending on the county and the dog’s health history and age. If you opt for a breeder, expect to pay upwards of $700 for a Poolky puppy. Ranking takes into account a few basic factors including cost, skill level needed, high vs low maintenance and how critical regular training is to success. Overall the Poolky is a great dog. The only problem you may have is with her noise levels, but that is easily trainable. She is loving and snuggly, perfect for a family. Her active, social nature and sweet disposition make her a favorite among the crossbreeds. She is a great dog for a first-time owner. As a result, the Poolky comfortably ranks a 1.